Last year I made this little beauty, and it’s still one of my favorite projects to date! 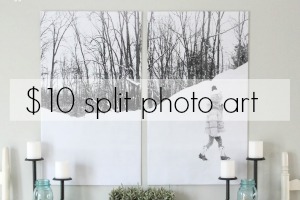 I thought I’d dust off this tutorial and share it with you again this year! I think she deserves a victory lap, don’t you? 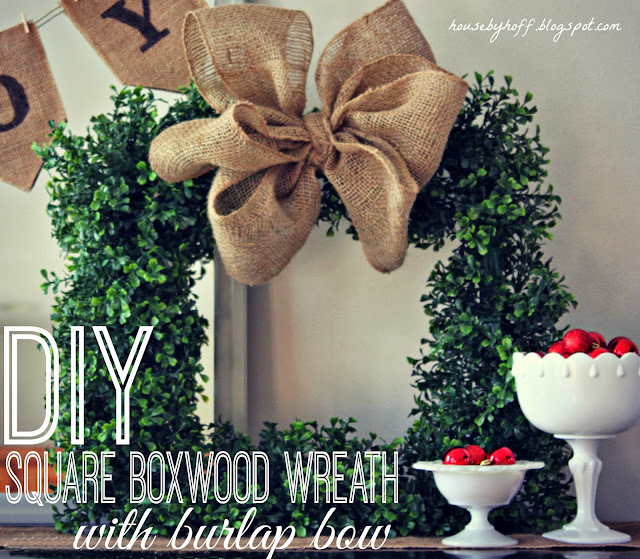 Click here to see my tutorial for my square boxwood wreath with burlap bow! 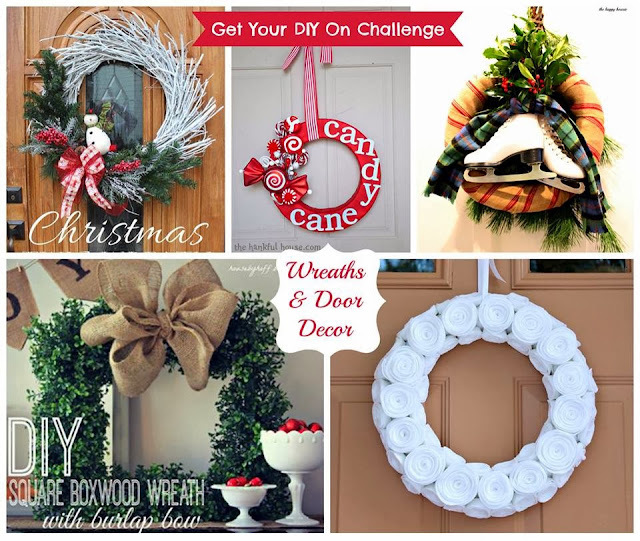 Let’s see what my co hosts came up with this week for our “Holiday Wreath” challenge! Don’t forget to bring your holiday wreathes next Sunday at 7:00 PM! 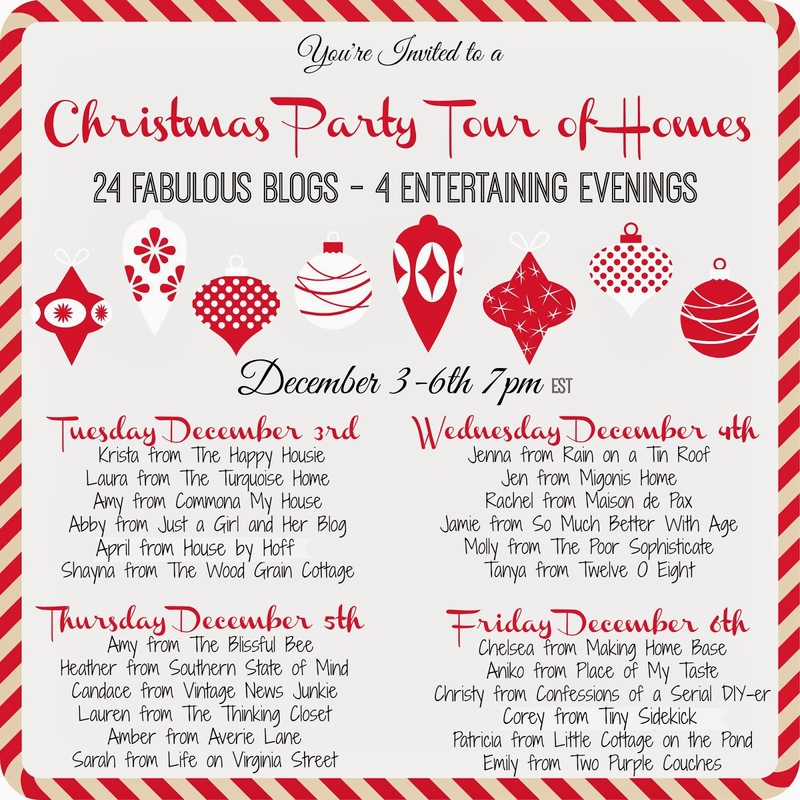 I’m very excited to share my holiday home tour with you next Tuesday! 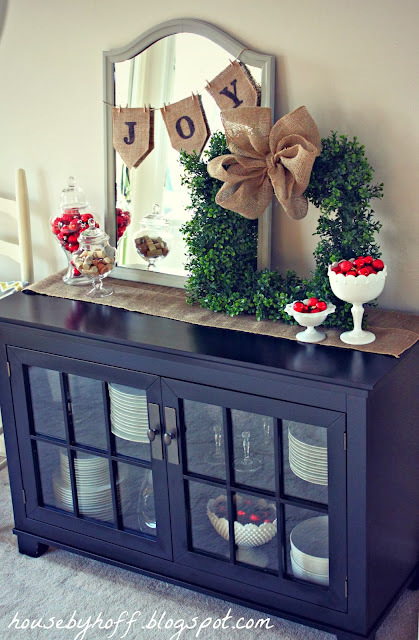 I’ve been working my little rear end off getting my house “holiday ready”. It’s looking verrrrrrry Christmas-y around here! 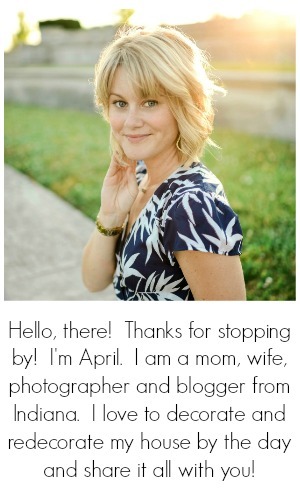 Totally deserves a victory lap – it is so pretty April. 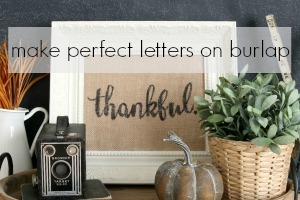 I love the scale and the square shape, that burlap bow is gorgeous too! Thanks, Krista! I’m in love with your wreath too! Ooh it’s so pretty! I’d post it every year! LOVE! Hope you’re having a great weekend, April!